Flower Dynamic Theme Edited, very knowing official Sony PS3 theme i kept everything original except for the icons i think the theme looks awesome with new sets of new icons so enjoy it as i do. 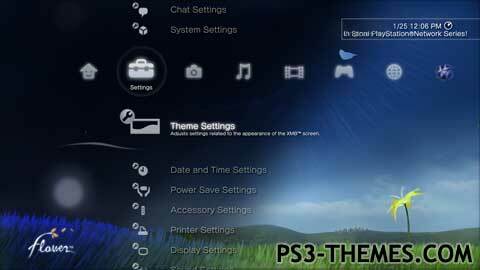 This theme was posted by PS3 Themes on July 1, 2018 at 4:51 pm, and is filed under Gaming. I’ve tried many different themes on this site and none of them seem to catch my interest. Decided to give it one last try with this theme and I do not regret it.